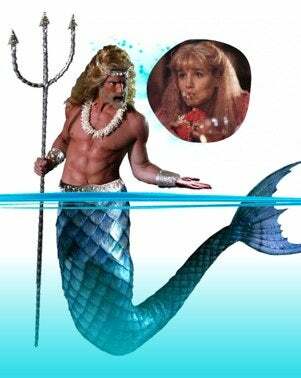 Ever wonder what happened to the poor Merman whom Daryl Hannah left for Tom Hanks in Splash? Universal is revealing all in a new movie, with some help from Splash's original writer. Universal Pictures and Imagine Entertainment have purchased Merman from writer Jennifer Abu Hollander. Interestingly enough, the film is being produced by Splash scribe Brian Grazer, so he can help shape the male version of Hannah's story. According to the trades, the story "follows a merman who comes to land so he can win back his mermaid fiancee, who has left him for a real man." Mermaids take up with human men so often, one does wonder what's wrong with the Mermen in the first place. The film is not Splash 2, per se, but it's pretty darn close.